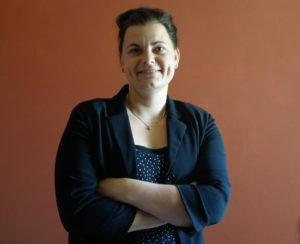 Katrin Bahr is a doctoral candidate in the program for German and Scandinavian Studies at the University of Massachusetts, Amherst. In her dissertation, she focuses on the everyday life of East German citizens in Mozambique during the 1980s. Her research interests cover GDR culture and history, colonialism and post-colonialism with focus on Africa, 1933-1945 German history and Memory Studies. In addition to her teaching, she works for the DEFA Film Library. In 2016, Katrin Bahr and Melanie Lorek published the article “Ja wohin gehen sie denn?“: Die “3. Generation Ostdeutscher” zwischen Suchen und Finden am Beispiel des 1.5 Generationskonzepts” in the anthology Die Generation der Wendekinder“: Elaboration eines Forschungsfeldes. In 2018 she curated the exhibition “East Germany in Mozambique: Private Photographs of a Forgotten Time” which was shown at the Centro Cultural Mocambicano-Alemão in Maputo, Mozambique and the Augusta Savage Gallery in Amherst, USA. You can reach Katrin at kbahr@german.umass.edu. 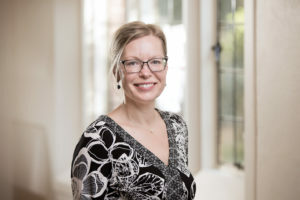 Claudia Sandberg is a film historian and filmmaker who works at the University of Melbourne in the School of Languages and Linguistics as Senior Research and Teaching Fellow. 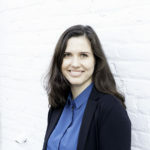 Her research focuses on German cinema, transnational cinematic relations between Europe and Latin America, women filmmaking and questions of exile and migration in film. One of her most recent projects traces the participation of Chilean film personnel in German cinema East and West during the Cold War era. She made the feature-length Películas escondidas. Un viaje entre el exilio y la memoria (in collaboration with Alejandro Areal Vélez, 2016), a documentary that examines DEFA ‘Chile’ films as part of the audio-visual documentation of the Pinochet dictatorship. Claudia co-edited the volume Contemporary Latin American Cinema. Resisting Neoliberalism? (2018) together with Carolina Rocha and is currently working on a monograph about German-Jewish-Uruguayan filmmaker Peter Lilienthal. You can reach Claudia at claudia.sandberg@unimelb.edu.au. Melanie Lorek received her Ph.D. in Sociology from The Graduate Center of the City University of New York. Before coming to the Graduate Center, she finished her M.A. (Diplom) in Social Sciences at Humboldt-Universität zu Berlin in Germany. Her research interests include sociology of culture, research methods, and visual sociology. Her dissertation focuses on how East Germans and the reunified Germany remember the GDR. Her work centers on topics of identity after the German reunification in 1989, as well as issues of critique, subculture, and censorship in the German Democratic Republic. Melanie has presented her work on East German memory and identity, and collective representations at several conferences. She has taught courses at The City College of New York, The College of Staten Island, and CUNY’s online campus, the School of Professional Studies. Her courses include Research Methods, Mass Communication, Social Problems, Visual Sociology, and Sociology of Culture. Melanie’s work has an interdisciplinary focus combining film theory, media analysis, and biographic interviews to understand how culture and memory operate in the creation of contemporary narratives. Her aim is to engage people from various disciplines in a dialogue about the reminiscences of Germany’s socialist past. You can reach Melanie at mlorek@gradcenter.cuny.edu.